Campus police have responded to four reports of personal items that have gone missing recently. On April 13, the first incident was reported to have taken place in Parking Lot A.
Danya Majeed told police she had accidentally left her backpack outside of her vehicle when she drove off the campus. Around an hour later, Majeed returned to campus but could not find her bag. She said there were several important items in the backpack, including a driver’s license, credit cards and a Social Security card. Officer Patrick Martino, while reviewing surveillance footage, reported that he had seen someone picking up Majeed’s backpack after she left. The next day, Martino met the suspect. The man admitted he had found the backpack but he was unable to contact its owner in order to return it. The backpack was returned to Majeed later that day, Martino said. On April 19, campus police received another complaint of missing property. Based on the report, Antonio Martinez Escalante, 28, said when he went to the first floor library men’s room, he left his cell phone, a Samsung Galaxy Note 4, on top of the toilet paper dispenser. After a short period of time, he went back to the men’s room to search for the cell phone but didn’t find it. Escalante said he also tried to use his phone’s Google location feature but found that the phone was turned off. After reviewing the video footage, Acting Police Sergeant Jeremy Bohannon said he was unable to identify any possible suspect because numerous people went into the men’s room at that time. The case was closed without further investigation. On April 14, Bianca Luz Ramirez, told police that her cell phone had also gone missing on campus. Ramirez said she accidentally left her white iPhone 4S on a charger overnight in the Communication Lab but it was gone when she came back the next day. Ramirez said her phone was in a tan leather case with her name carved on it. She said the phone and case together are valued at $210. Campus Police Officer Gordon Nelson reviewed surveillance footage but was unable to locate any possible suspect because too many people visited lab during that time. 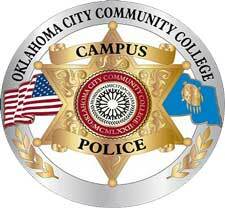 On April 18, an OCCC student visited the police department to report that his wallet had been stolen three days before. According to the report, on April 15, the student, whose name was redacted, said he left his wallet in an unlocked locker in the men’s room at the Wellness Center. After roughly 15 minutes, he returned to find his wallet was gone. The student said his missing wallet contained his driver’s license, a Soonercare card, his student ID and debit and credit cards. Officer Ronald Ventresca, in his report, stated that he explained to the student that no security cameras are inside locker rooms on campus. Anyone who finds lost items on campus are encouraged to take them to the OCCC Campus Police Department. Some information was redacted from reports under the direction of the Marketing and Public Relations office. For emergencies, use the call boxes located inside and outside on campus or call 405-682-7872.